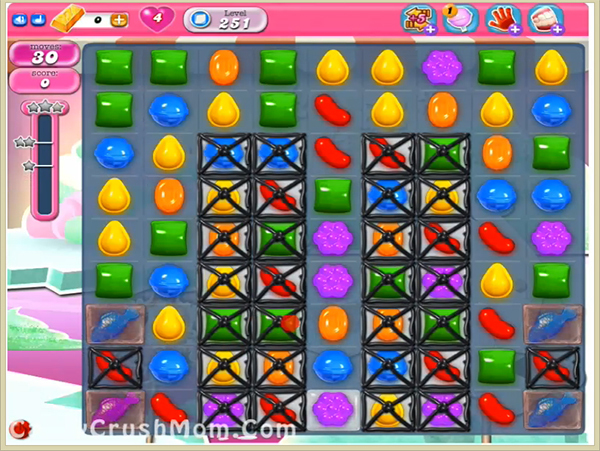 This level have normal difficulty and you need to use good strategy to break all jellies within less moves. For this level first try to play near to grill boxes to break then and make special candy where you get chance and then combine it with other special candy or fish that you get to break all jellies within less moves. We completed this level with 146420 score using special candies and break all jellies before lot of remaining moves and got three star score at the end of the level.